The first day of spring was this week and we are feeling it, BIG TIME. We had our first batch of baby chicks arrive this week and we've been spending lots of time tidying (Marie Kondo style) so that we're ready to take on the busy season ahead. 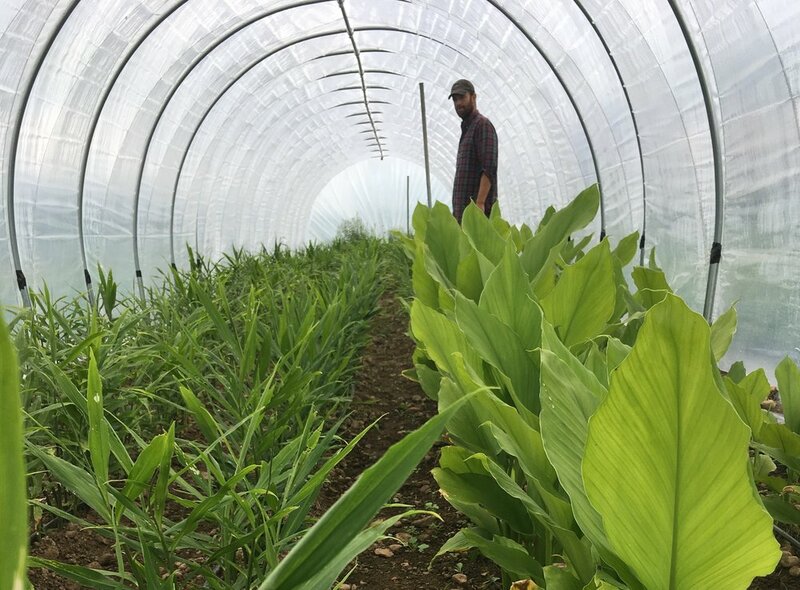 One of our biggest accomplishments this week was building another high tunnel (unheated greenhouse) for this year's ginger crop. 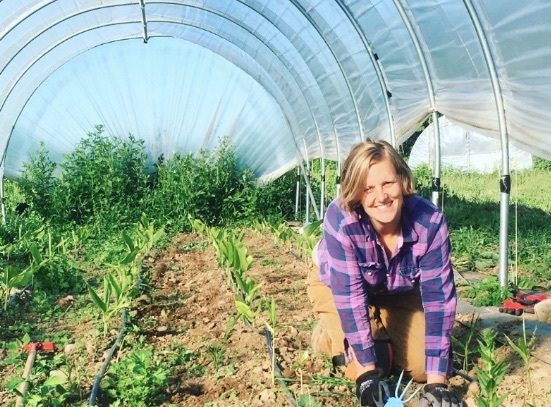 Constructing a high tunnel is no easy feat. It involves bending lots of metal poles (200 bends to be exact), driving big posts into the ground with a sledge hammer and then assembling the house. 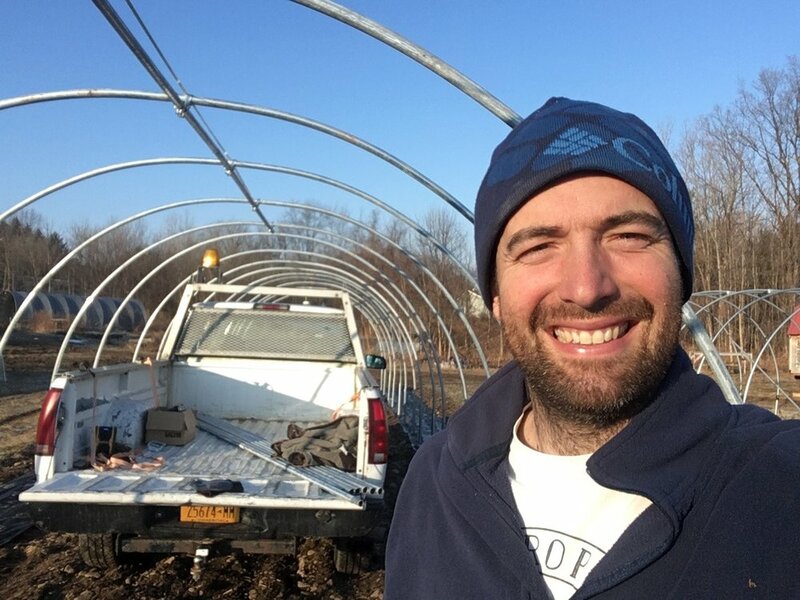 But, thanks to Greg's hard work, except the plastic that will go overtop, we now have a second high tunnel designated to ginger. If you're as in love with our ginger as we are, you're probably hoping that the fact that we have two ginger houses now means we're scaling up and planting even more ginger this year...but this is not the case. Sure, we'd love to grow in both houses and double our ginger production this year. But when Stonecrop was just a dream - a little idea that Greg and I had and talked about before bed when we were dreaming about our future - we knew that our farm would be certified organic and that no matter what we grow, we know we are still responsible for upholding those organic principles and being good stewards of our land. As any organic farmer will tell you, the quality of the food produced on the farm hinges on the health of the soil. For us, this means that we need to rotate the location of our ginger and turmeric plantings (from one house to the other) regularly so that we can keep the soils healthier, the nutrients high, and the pest pressure low. This is part of the rationale for all the rotational grazing we do with our livestock, too! 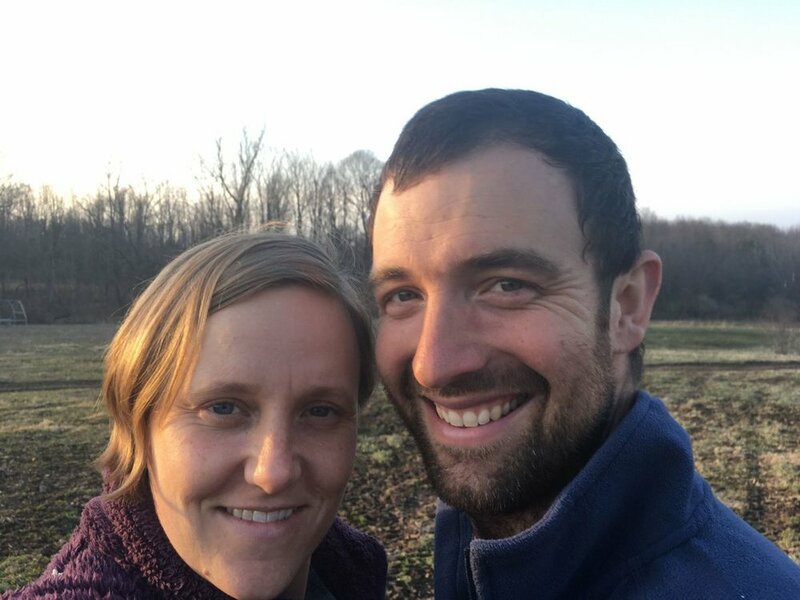 Organic farming takes a little more time than spraying with chemicals or keeping our animals in barns, and more infrastructure (thus the second high tunnel) but the results sure are glorious.